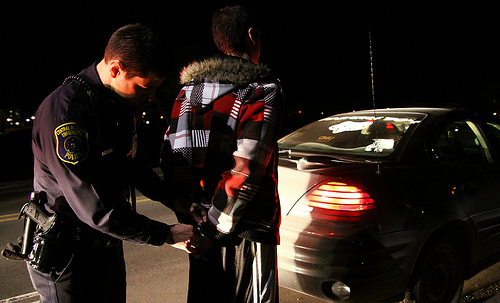 Preventing DUIs can be a challenge without the proper help. Those who seek help often prevent damage to their social life, work life, and driving record. Finding the right support is very important, especially when you know the consequences and Ohio’s mandatory sentencing for DUI/OVI convictions. If you are unsure of where you stand given your current driving record, it is always a good idea to seek out an experienced Madison County Ohio drunk driving attorney. If you don’t seek out the help you need, you should be aware of the laws Ohio has in place to combat driving under the influence. Ohio has mandatory sentencing for those convicted of OVI/DUI. In Madison County and all other counties in Ohio, if you plead guilty or are convicted of an OVI, you face 72 hours in jail and a suspended license. You may be spared the 72 hours in jail by taking a 72-hour driver intervention program. Central Ohio offers many programs to help serve the court-ordered hours. Speaking with your Madison County drunk driving attorney will help clarify your options should you face DUI charges. The programs that are available in lieu of jail time are often held over the weekend. Topics vary from program to program, but generally focus on alcohol education, alternatives to driving while under the influence, and the legal consequences of drinking and driving. The purpose is to prevent people convicted of DUI/OVI from receiving a second conviction. Should you find yourself in this situation, it is best to discuss the available options with your Central Ohio attorney. Once convicted of a DUI, a second DUI/OVI charge will have more of an impact on your work life and relationships. License suspensions and jail time is mandatory, and you may face additional court ordered drunk driving education. Rather than face these courses under a court order, seek them out to prevent the further stress caused by new charges. Speak with a drunk driving lawyer who can help connect you with programs that will help. If you are currently facing OVI/DUI charges, it is best to seek out experienced legal counsel who can help preserve your rights in court. A Madison County drunk driving lawyer will help clarify the charges and focus on getting you the help you need.